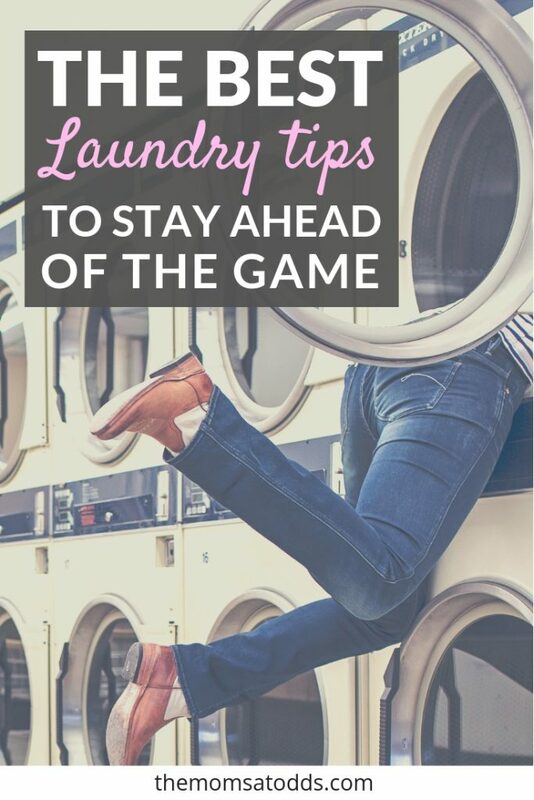 If you’re looking for laundry tips to stay ahead of the game, you’ve come to the right place. My personal laundry struggle started after I had kids. Before that, I didn’t even think that a laundry schedule was a “thing”. I threw clothes into the wash when there were enough, and sorted and folded when they came out – no big deal. When I went back to work full-time after having my second child, somehow laundry became impossible. I could throw a load in and I’d usually remember to put in the dryer in a timely manner, but then it would sit in the clean basket for days (…or weeks) before it got folded. Sometimes I’d fold, but then the folded garments would sit on my couch until my toddler would knock them off and I’d yell at him. I became completely overwhelmed by laundry. Maybe you only have one kid or maybe you have seven. Maybe you just have a dog. 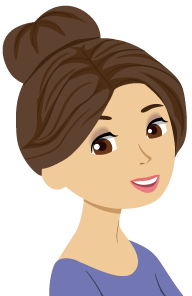 But if you’re reading the post, chances are you have one thing in common with my past – laundry struggles. 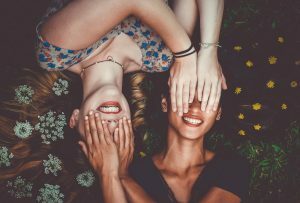 Are you working full time and don’t have time to fold? Are you a stay-at-home mom who doesn’t have time to stain treat? Maybe a stay-at-home dad who has mountains of clean clothes sitting around everywhere unfolded? Or worse… are piles of dirty clothes hanging around? Have no fear, I’m here with laundry tips to help you get your clothes under control in a way that won’t interfere with your daily life. If I can juggle laundry for my whole family as a full time working business owner, you can too! This is by far the most important point to this whole post. 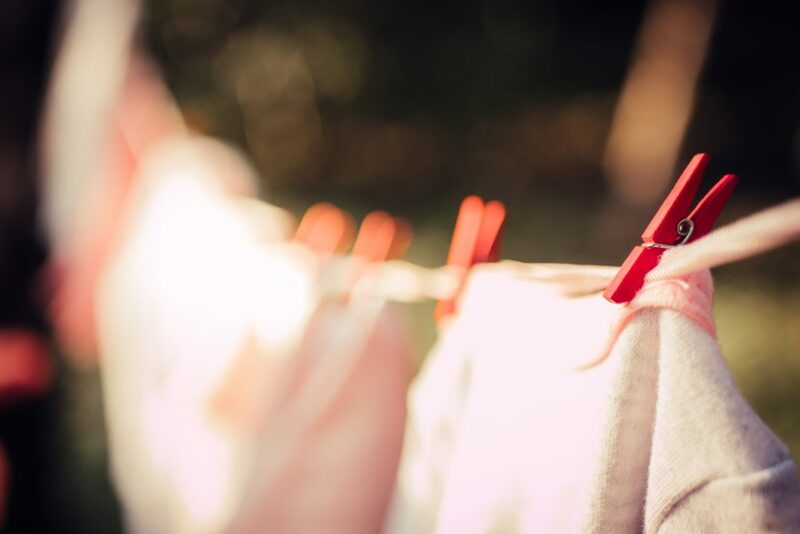 You have to stay on top of the laundry routine because this makes each load smaller and more manageable. Small loads of laundry I can fold and put away in under 10 minutes – that’s AWESOME. I can’t find the 30-45 minutes in my day to fold and put a full load of clothes away, but I can definitely squeeze in 10 minutes somewhere. This may not seem like a big deal, but it’s one of the things that made the biggest change for me. Keeping the laundry schedule days separate means that there’s no sorting, which saves so much time when folding and putting clothes away. And again, it keeps the loads more manageable. Throughout the week, I rotate through these categories: my daughter’s, my son’s, me and my husband’s, whites, delicates, kitchen towels, and linens. Laundry needs to become a daily routine, but specifically you need to find a consistent time for washing/drying/folding. One of my favorite washing clothes tips is to turn items that need to be stain-treated inside out so you can easily identify them later. I used to waste so much time when I was loading the wash checking each item for stains. With this laundry routine system- that problem is gone and it saves so much time! I’m actually pretty amazing on getting stains out. One of my biggest laundry tips is that there’s almost nothing I can’t get out with blue Dawn and Clorox 2. Blue Dawn takes care of all food related stains (especially oil/grease). Clorox 2 for pretty much everything else, the worse the stain the more it has to sit before you start the laundry (up to 30 minutes or so). Sometimes I even scrub in the Clorox 2 with a toothbrush just to really get it in there. Combine that with the stain treat setting on your washer and you’ll be good to go. Note from Rachel: This is brilliant! I recently battled a spaghetti stain that went through the laundry untreated. Though it is my most impressive laundry conquest, I’d prefer to avoid it in the future. FYI – I finally got it out with equal parts hydrogen peroxide + baking soda + dish soap overnight and then letting it dry in the sun. Another one of my favorite laundry tips is to put clothes that the kids have outgrown in the parent’s hamper. When I was doing my kid’s laundry I would spend too much time trying to remember if each item no longer fit my child. When I put the outgrown clothes in my personal laundry, then would stand out so I knew to keep them separate to pass on. Well, there you have it! You don’t have to be overwhelmed my laundry any longer. 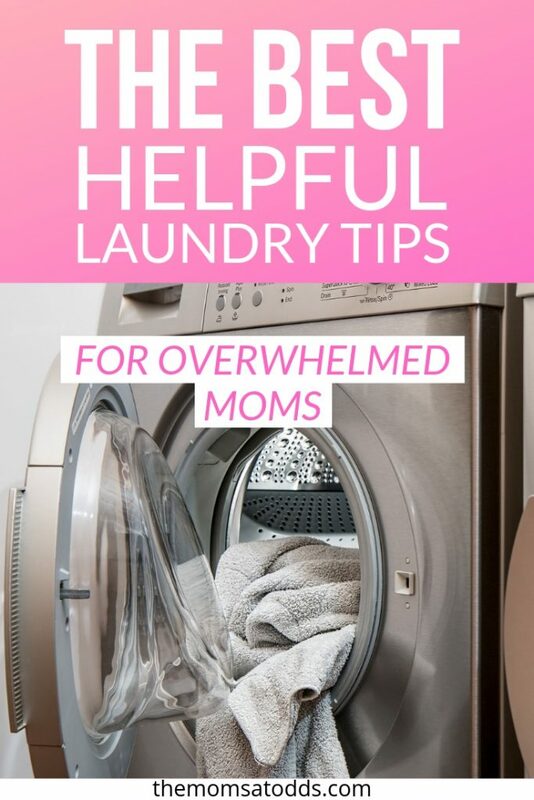 Those are my best washing clothes tips for how I stay on top of the laundry in my house as a full-time working mom. 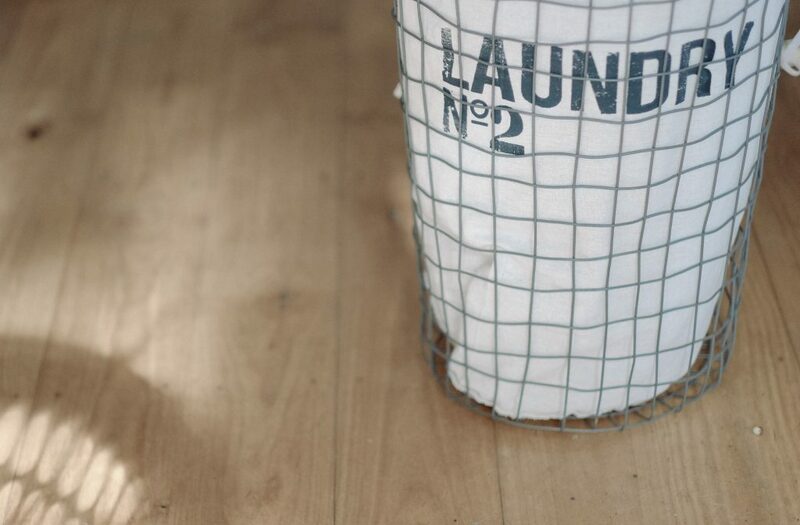 What are some of your best laundry tips and hacks?